Ecuador's embassy in the U.K. says it alone was responsible for cutting WikiLeak's founder Julian Assange's internet connection, stating that the country doesn't want to interfere with the U.S. elections. "The government of Ecuador respects the principle of non-intervention in the affairs of other countries," it said in a Tuesday statement. "It does not interfere in external electoral processes or support a particular candidate." 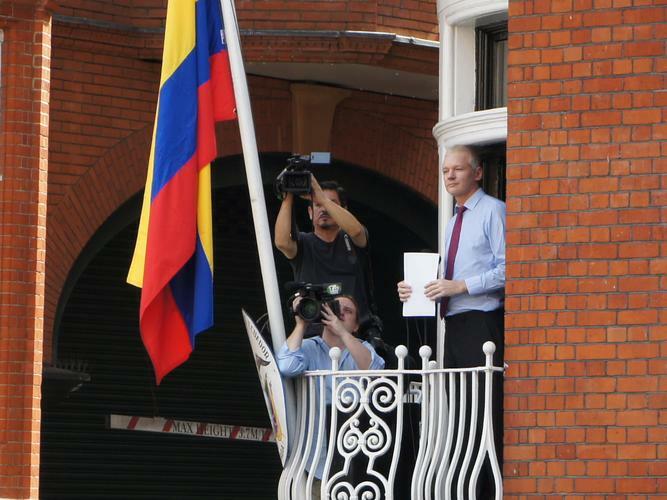 As result, the government has temporarily cut access to some private communications at the embassy, where Assange has resided for four years. Earlier on Tuesday, WikiLeaks blamed U.S. Secretary of State John Kerry for asking Ecuador to cut Assange's internet access, which was shut down on Saturday. The State Dept. said that didn't happen. "That’s just not true. He didn’t raise that." said spokesman Mark Toner. "We weren’t involved in this. We had no involvement in any way, shape, or form in trying to shut down Mr. Assange’s access to the internet." In its Tuesday statement, the Ecuadorian government indicated it was a unilateral decision, saying it does not yield to pressure from foreign states. It pointed out that while Assange has no internet access, Wikileaks hasn't been restricted from carrying out its journalism. Assange had previously vowed to release stolen emails from a Hillary Clinton aide, which might hurt her presidential election chances. WikiLeaks has already released thousands of those documents and continues to do so. The U.S. government, however, suspects that WikiLeaks is helping Russian government hackers to influence the outcome of the presidential election. Earlier this month, U.S. intelligence agencies publicly pointed a finger at Russia for hacking U.S. officials and political groups, and then publishing the stolen documents through sites such as WikiLeaks. WikiLeaks hasn't named its sources, but Assange has denied trying to sabotage Clinton's campaign. The site is fighting off speculation that he is a Russian spy and also recruiting an army of internet users to defend itself from critics.